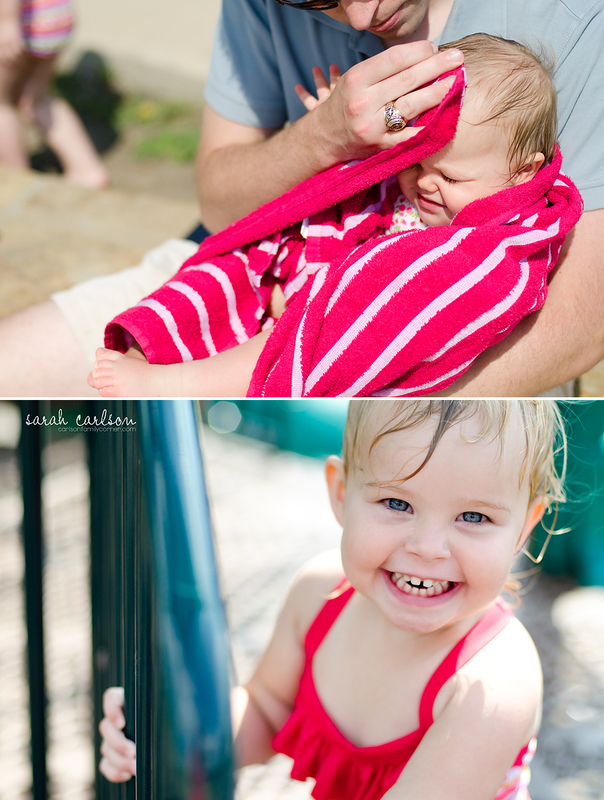 We headed over to McKinney's Inspiration Park on Saturday to let Kate play at the playground and splash pad. Kate was having a blast, and even though I didn't bring a bathing suit for Caroline, we plopped her down in front of a spout to play too. She LOVED it. Next time I'll know to bring a swim suit for her as well! And Kate had a blast! We dried off, ran around on the playground some more, and headed home. It was a fun family afternoon!